Last week I was lucky enough to be able to attend the Tinder Press New Writer’s Evening at Foyles Bookshop in Central London. It was a lovely event with free wine and pizza. They even had goodybags, filled with beautiful full colour postcards of their book covers, and a free book! 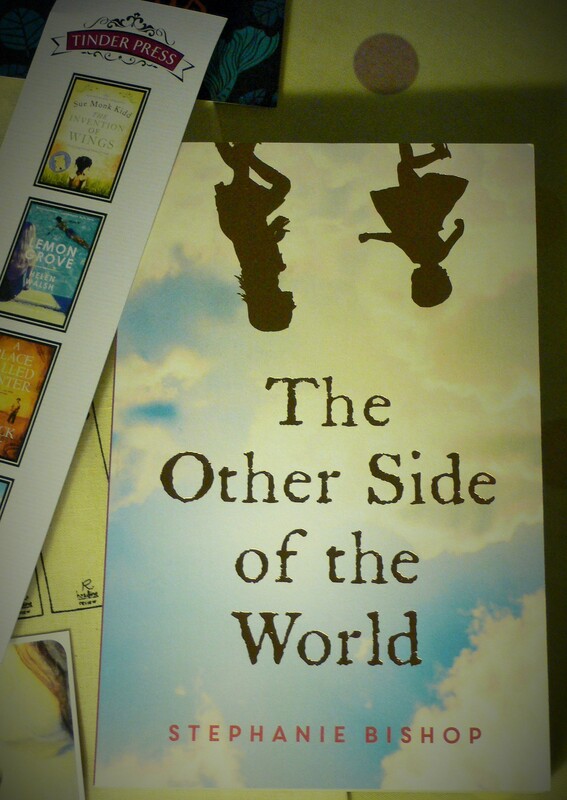 I can’t wait to read The Other Side of the World by Stephanie Bishop! For me, the most memorable part of the evening was when a man in the audience asked if any of the authors had ever read what they had just written and thought it was absolutely ground-breaking work. All three authors seemed to agree that, for them, and perhaps for women writers generally, it is more likely that they will have the opposite reaction to their writing. They tended to re-read what they had written and decide it was awful, and to overall be very self-defeating in response to it. This was familiar to me, as it is how I often feel after reading what I’ve recently written. I would tend to agree with the writers too, that more women than men seem to have this response. I’ve known several women writers who tended to approach their work this way, often deleting whole chapters because they didn’t feel they were good enough. I did this myself for years, always deleting more than I wrote, not because this was my process but because I lacked the necessary confidence in myself as a writer. Sarah Winman went on to say that to have either a grandiose or a self-defeating response to your writing, is indicative of a self-conscious writing process, and that self-conscious writing is the enemy of good writing. The best writing is the purest writing, and comes from deep within the author. She said that all artists need to have a good knowledge of who they are and a good relationship with themselves, because the work they do derives from their own individuality. This reminded me of Julia Cameron’s book, The Artist’s Way, when she talks about the need for creative people to nurture their inner artist, or muse. So, how can we get away from self-conscious writing? Getting into your ‘zone,’ or ‘bubble,’ as these authors called it, helps. But this can be difficult. Sarah Leipciger and Maggie O’Farrell said that they light a candle to help get into the right mood. Sarah Winman admitted to having to close the curtains at times, to keep from being distracted. For me, getting into this bubble is about allowing my mind to turn inward, to the story I’m trying to create. Sometimes altering my environment helps, and sometimes it doesn’t. I’m more likely to achieve this when I give myself permission to write badly, even terribly, because for the time being, I’ll be the only one who will read it. And I’d rather end the day with 2000 poorly written words which I can revise, than nothing at all. It’s about letting go of my current reality and allowing the writing to take over, sometimes having very little idea of where it will take me. And, finally, it is about saving the editing for after the story is finished. Because editing requires a very different thought process to writing. How do you feel your best writing comes about? Do you think it’s necessary for writers to have a good relationship with themselves to write well? And, if you’re a woman writer, do you struggle with self-confidence issues in relation to your writing? I’d love to hear your thoughts, so please leave a comment below. Hi Ruth, Thanks for your comment! 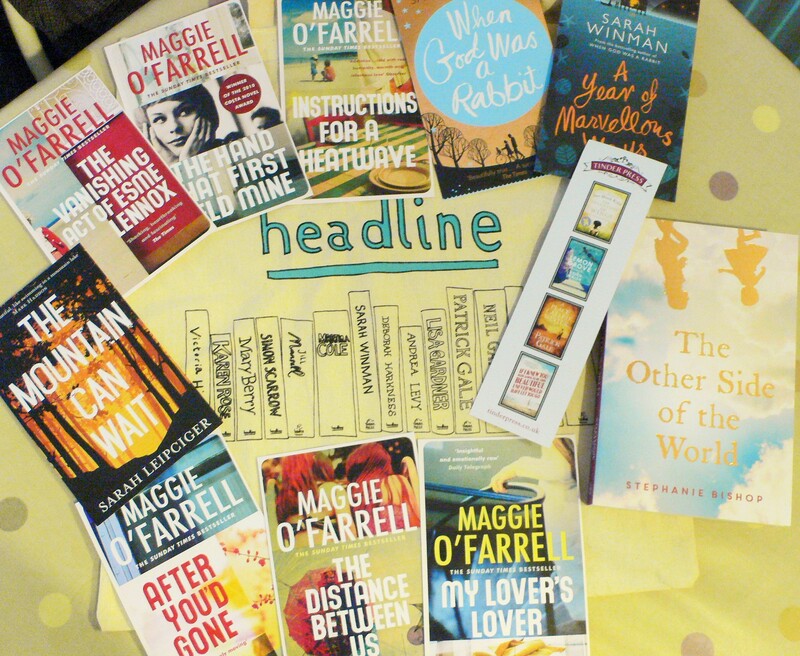 Maggie O’Farrell hasn’t yet released a new book, she was there as the veteran writer. It was Sarah Winman and Sarah Leipciger who have recently released new novels. However, I do also have Instructions for a Heatwave on my ‘to read’ list, and will let you know my thoughts on it once I’ve read it (I’ve heard great things about it). It’s great that you are able to take advantage of the times when your writing isn’t going as well as you’d like it to, by painting and being creative in other ways. I do think being creative in other areas of our life affects our writing in a positive way. And yes, I agree, rewriting takes a forensic eye to do well. I really enjoyed The Single Feather and thought you did a fantastic job with it. The writing was incredibly smooth, and the structure strong and effective. Well done! I’m sorry to hear you’ve been in pain, but well done for continuing to soldier on with the writing. I look forward to reading more of your work in future. You’ve done amazingly with TSF. I love the postcards, and the books – I really enjoyed Instructions for a Heatwave so you must let me know what her new book is like. Great post, Kendra. I think I go through spurts, when sometimes I have plenty of ideas, and really feel in the mood to write, and periods when it’s just not happening. I’ve learnt now to do other things during those times – other types of writing, painting, etc. I think being open to new ideas, and not to force it out helps me a lot. I do a lot of rewriting at the end, I think it’s then when I can see the whole picture that I then have the forensic eye to be able to say what works, what doesn’t, how it can be improved etc. I find if I keep doing that, the story emerges. With The Single Feather I made big changes, and took the time to do it, and I’m glad I did. As for writing spaces, I do need somewhere quiet, somewhere where I’m comfortable, and somewhere separate from the rest of my house. I make it feel as if I’m going to work, go to my study, write up what I need to do that day. My main problem is pain. If I’m in pain it affects my concentration, but if I take painkillers it makes me dozy, so sometimes I just can’t win! Thanks for your comments. It’s interesting how different writers have different theories on where their writing comes from, and how important it is that they know this in the first place! I agree that it is very important for a writer to know how they work best, and who their characters are. The Tinder Press New Writer’s Evening sound like a great event to attend. I think my best writing comes from shutting my critical voice in a box and placing her somewhere she can’t be heard and then following my characters with my creative mind. I also like to set a writing mood like light candle or write away from my computer while walking around the house in a creative haze. I don’t think a writer has to know themselves really well, to write well. However it can be helpful to know yourself somewhat, to know how you work and what routine and writing style suits you best. And sometime what inspires you. But I don’t think its a mandatory thing not for me anyway. As long as I know my character well then writing their story will hopefully be an adventure. And sometimes its nice to look back at writing and not real know where it really came from. I see all my character’s as separate people etc and their life as their own and not written because they are some part of myself. That’s not to say that I don’t think that all my books will contain apart of my creativeness in them. But I find writing more of a break from knowing myself rather than needing to have a great relationship with myself to write. There are times when reading back my work I feel like ripping it up and starting over and over and over again. But then I remember what a wise tutor told me; ‘Everything is fixable.’ and knowing that means that those spelling that need looking closely at or a story holes, even just a sentence that just makes me feel a chill in a bad way is fine, because it’s fixable and sometimes writing that line or spelling that word wrong can help me remember that while it needs fixing or tweaking it’s also teaching me something about how my mind was working or thinking at the time. And I normal use that opportunity to save that line etc so when I’ve tweaked it with my critical mind that I’ve broken out of the box for a little while. I can read both lines and sometimes I find that line that that made me go ‘no you’re going in the bin’ actually returns, because it was nowhere near the bad line I had deemed it to be. So I think looking back at writing that you deem as not good or really wrong in places and actually looking at both even after the tweaking can sometimes be enlightening that your creative mind knew what it was doing after all and that critical voice nearly took that sentence and turned it into something bland. So being self -concious over writing can be turned into a chance to learn from those words and lines etc you feel are not great. I think anyway.